Idaho historian Keith Petersen asked the question in his 1995 book River of Life, Channel of Death: "Will the government continue to pour money" into the maintenance costs of the four lower Snake Dams in Washington? The U.S. Army Corps of Engineers has released for public comment a plan dredge the channel over the next 50 years. The Lower Snake River Programmatic Sediment Management Plan and draft Environmental Impact Statement looks at several alternatives but the preferred alternative inevitably is to dredge the channel for the first time since 1995. This week they extended the comment period From Feb. 8 to March 26. "We extended the public comment period to allow for more complete public input," said District Commander Lt. Col. Andrew Kelly. "The draft Environmental Impact Statement is fairly lengthy and complex because we took a very broad look at sediment management options." But Kelly wanted to make a strong point: "This is about potential long-term options beyond just dredging." That's because the environmental impacts of dredging will always be a challenge, a pinch point for activists who prefer the alternative of removal of the four lower Snake River dams. 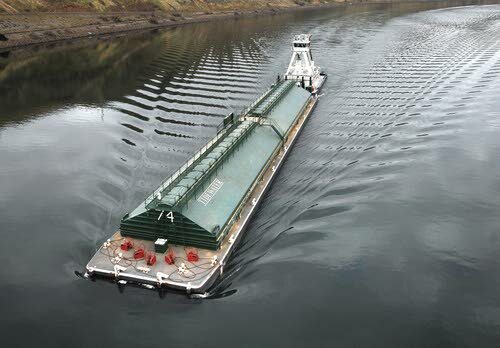 The Corps under law is supposed to maintain the lower Snake River navigation channel at 14 feet deep and 250 feet wide. 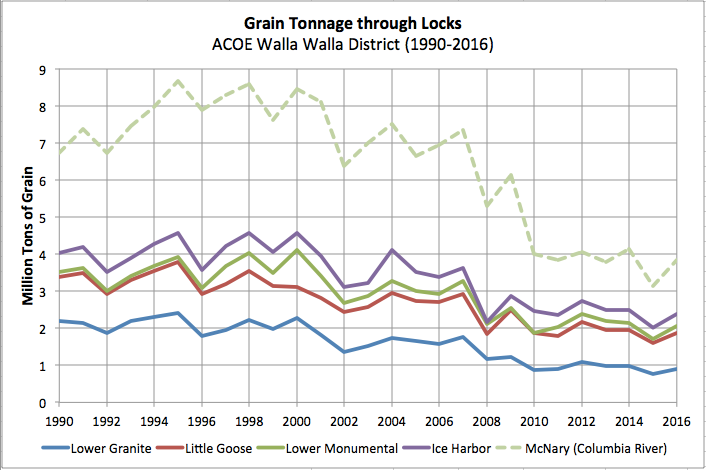 In the draft EIS, the Corps is proposing a long-term plan to manage, and prevent if possible, river sediment deposition behind all four dams, Ice Harbor, Lower Monumental, Little Goose, and Lower Granite Locks and Dams. It was never built and the sediment problem has grown into a costly problem that adds to the costs and the subsidies necessary for keeping the dams for navigation, power production, and around Lewiston, flood control. Simply raising the levees has been loudly rejected by Lewiston residents. So this process is going to be the immediate legal center of the fight over salmon and dams. Enter Linwood Laughy, a Kooskia resident who with his partner Karen "Borg" Hendrickson stood against the megaloads of ExxonMobile mining equipment that had been scheduled to be shipped through the Port of Lewiston to the Tar Sands region of Canada. Their legal fight helped force the oil company to look for another route, foiling long term plans of the Port to cash in on a new customer for its underused facilities. Now Laughy is opposing the Corps plans sounding like a Tea Party activist. He calls the EIS a $16 million big government plan for another $30 million in dredging costs over the next decade. Adding these costs together with inflation and interest he estimates the $10 year cost for the "taxpayer subsidy" to keep the Port of Lewiston open at $39 million. And sedimentation would continue to increase, he said. "These projected cost figures are for channel dredging only and do not include the Corps' ongoing sediment monitoring and contract management costs," Laughy writes. "Operational costs for the locks on the lower Snake, the millions of dollars regularly spent on lock and dam maintenance, or the billions of dollars required for salmon recovery efforts." "The fact of the matter is that while people altered nature along the lower Snake, it is impossible, despite sophisticated technology and engineering capability, to control it," Peterson wrote.